Dr. William T. Reynolds has been with the Eye Care Center since 1985. He completed his undergraduate studies at the University of Louisville and his doctoral studies at Southern College of Optometry in Memphis TN. Besides his Optometric Doctorate, he has a Bachelor of Science in Biology with a minor in Physics degree. Since graduation, Dr. Reynolds has obtained board certification from the American Board of Optometry. Dr. Reynolds has been involved in many civic and professional organizations including: Board of Directors Richmond Chamber of Commerce, President Richmond Lions Club, Madison County Board of Health and Clinical Director of Kentucky Special Olympics “Opening Eyes” and is Clinical Co-Director of St. Pius X Vision Clinic in Kingston, Jamaica. In 2001, Dr. Reynolds was elected President of the Kentucky Optometric Association. Dr. Reynolds has given professional presentations on a variety of ocular topics and in 2002 the results from his article on children’s vision were reported in over 150 newspapers across the country. 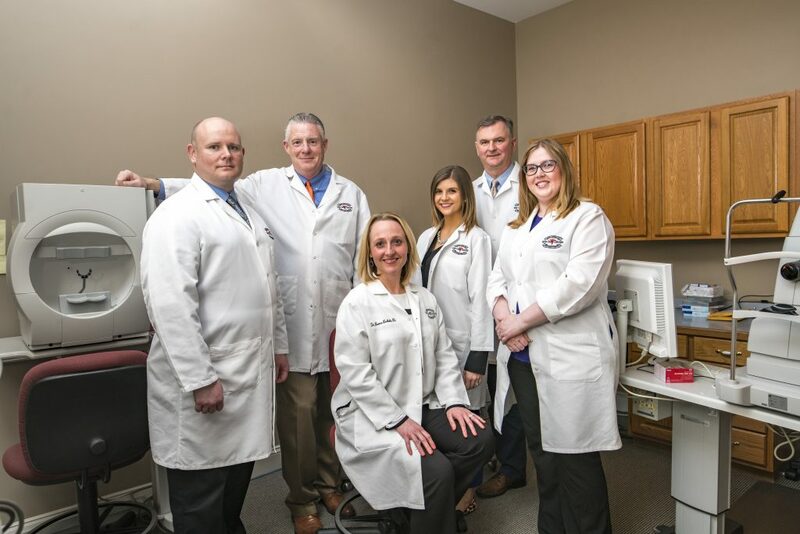 Dr. Reynolds has received numerous awards including three Presidential awards from the Kentucky Optometric Association, the prestigious International Presidents Letter of Appreciation awarded by Lions International, and in 2000 and 2011 he was selected as the Kentucky’s Optometrist of the Year. Dr. Reynolds has also recently been elected to serve on the American Optometric Association Board of Trustees. He has chosen to reside in Richmond, KY with his wife, Ann and two sons, Will and Pat. Dr. Anthony C. Harris joined the Eye Care Center in 1998 and has been in practice for 28 years. He has experience in all areas of eye care including treatment of ocular diseases, contact lenses, children’s vision and post operative care of cataract surgery and LASIK surgery. In 2012, Dr. Harris received his certification in Expanded Therapeutic procedures allowing him to perform minor laser surgical procedures for the Anterior Segment. He also has obtained board certification from the American Board of Optometry.He believes that excellence in eye care begins solely with the one on one patient-doctor relationship provided by all doctors at the Eye Care Center. 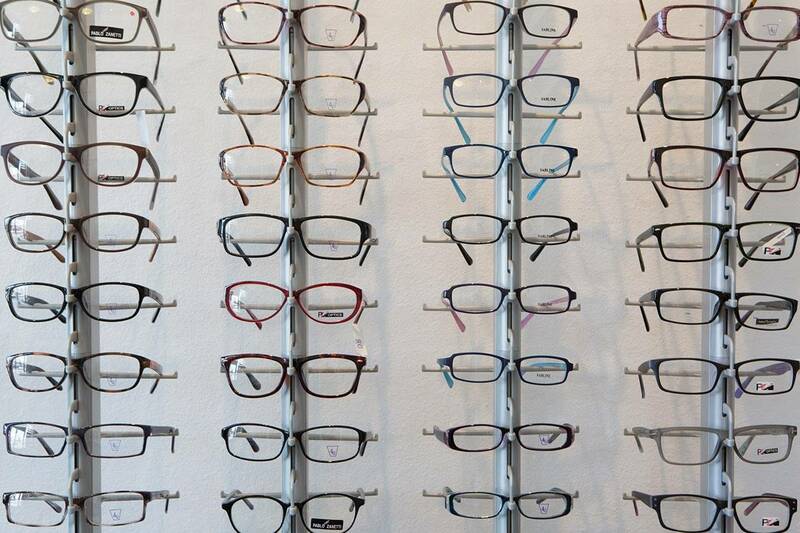 Dr. Harris is a member of the Kentucky Optometric Association (KOA) and the American Optometric Association (AOA). Dr. Harris recieved his Bachelor of Arts degree in Chemistry in 1984. He graduated from the University of Alabama-Birmingham school of Optometry with high honors in 1988. 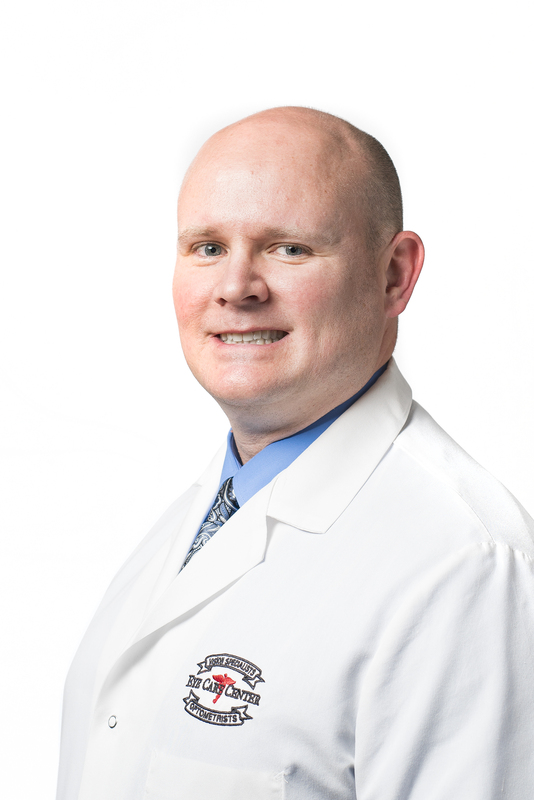 Dr. Harris is a Kentucky native and currently resides in Richmond with his wife Norma and children, Sarah and Kevin. Dr. D. Matthew Burchett has been in practice since 2002. He attended Morehead State University and received his professional training at Southern College of Optometry in Memphis, Tennessee. During his time at SCO, he completed specialty rotations dealing in general eye examination, children’s vision, contact lenses, pathology and co-management of eye surgery. Since graduation, Dr. Burchett has obtained board certification from the American Board of Optometry. 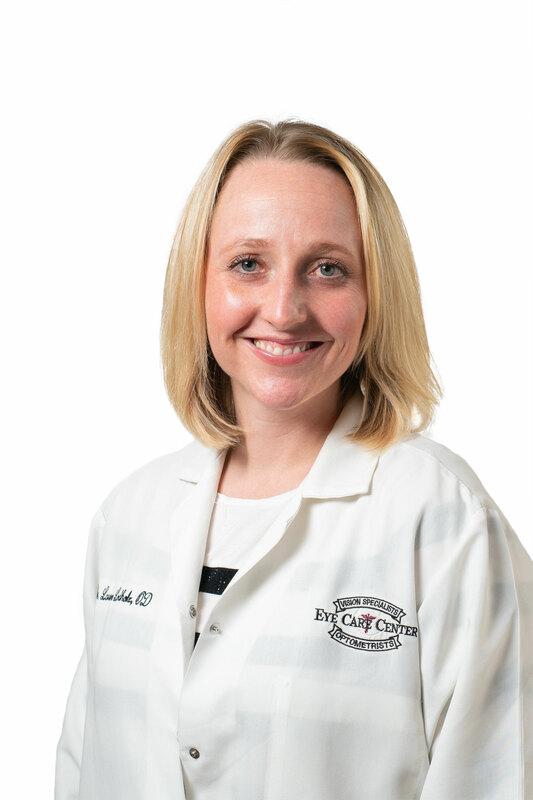 Dr. Burchett has served patients in six Eye Care Center locations. Dr. Burchett is a member of the Kentucky Optometric Association, currently serving as the KOA President-elect and will begin his term as KOA President in 2013-2014. Dr. Burchett is a member of the American Optometric Association where he serves on the State Government Relations Committee; and is also a member of the AOA Contact Lens and Cornea Section, Low Vision Section, and Sports Vision Section. 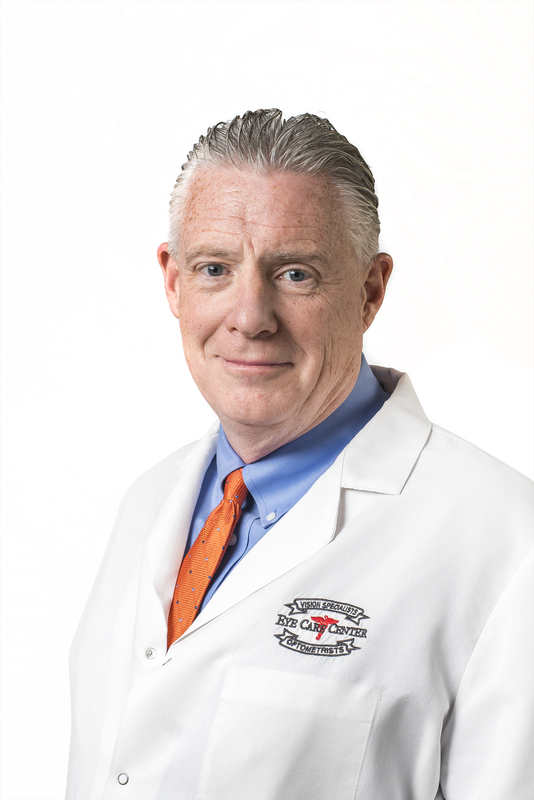 Dr. Burchett has served on the Kentucky Board of Ophthalmic Dispensers, volunteers for the Special Olympics Opening Eyes program providing eye care to Special Olympians and has served the people of Kingston, Jamaica at the St. Pious X Vision Clinic. He is a member of the Richmond Lions Club and an active member of First Baptist Church, Richmond. 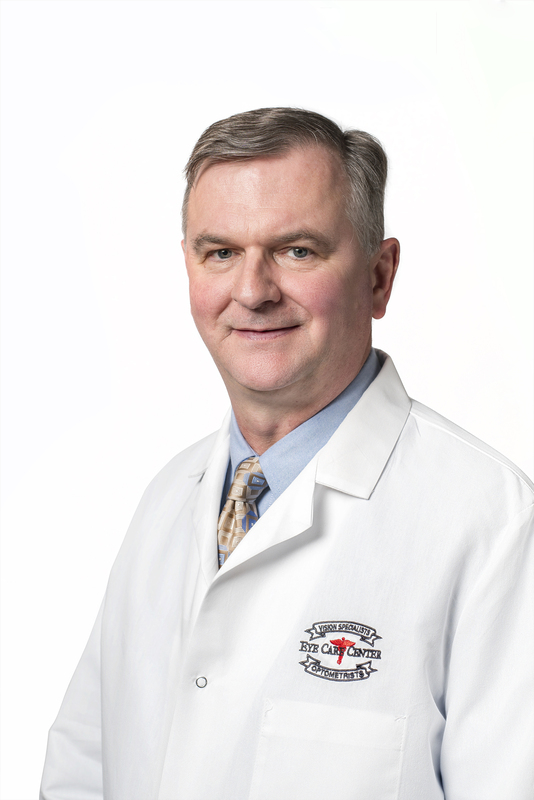 Dr. Burchett resides in Richmond, KY with his wife Hope and their children Kellen and Alivia. Dr. Taylor Waggoner joined the Eye Care Center in 2017. She received her undergraduate degree from Eastern Kentucky University in 2012 with a Bachelor of Science in Biology. She graduated with honors as a Doctor of Optometry from Indiana University School of Optometry in 2017. Dr. Waggoner is a member of the American Optometric Association (AOA) and the Kentucky Optometric Association (KOA). 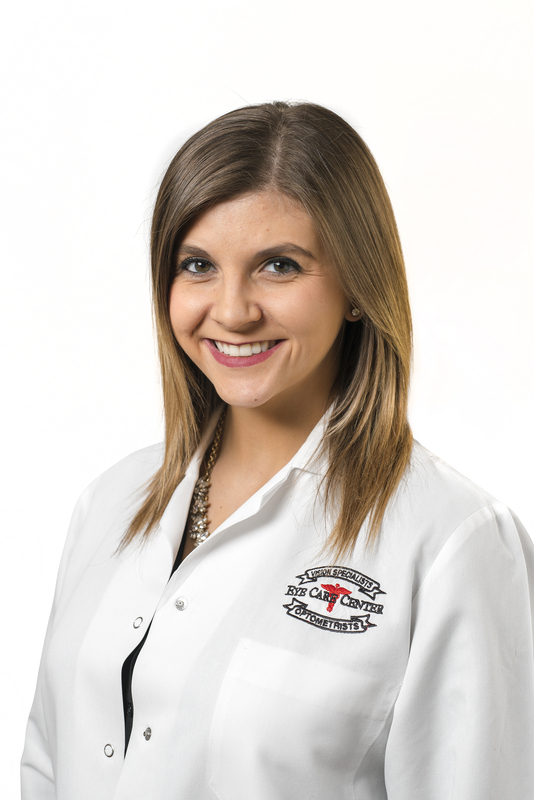 During her time as an optometric extern, she spent time caring for patients at Ralph H. Johnson VA Hospital in Charleston, SC, and Jesse Brown VA Hospital in Chicago, Il. Originally from Phelps, KY, Dr. Waggoner is proud to have the opportunity to serve the vision needs of the citizens of her home state. Dr. Waggoner currently resides in Richmond, KY with her husband, Justin.